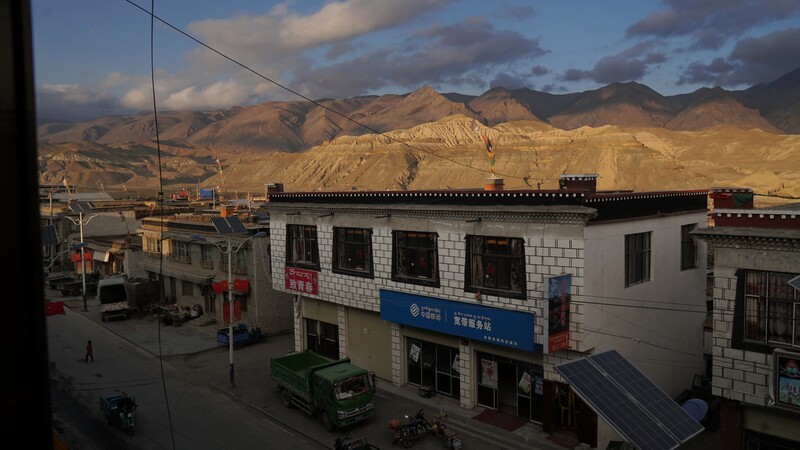 Rows and rows of new apartment blocks. 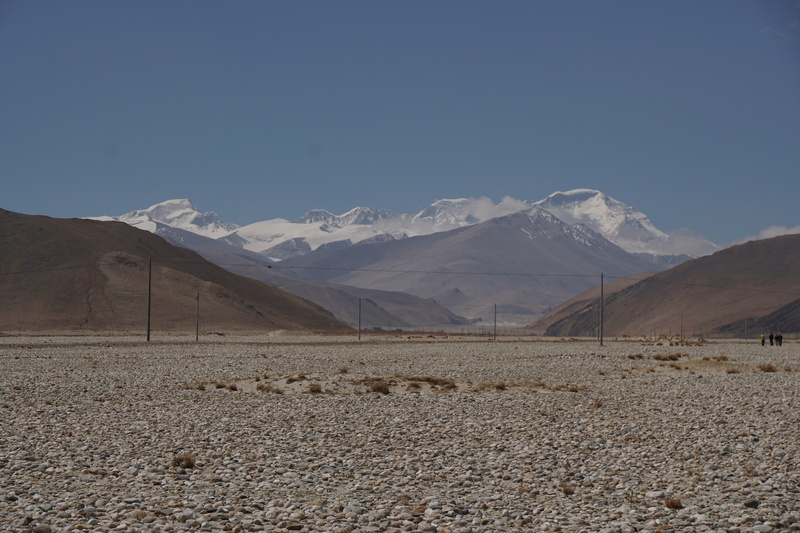 Thinking of those old Sherpa traders from Khumbu coming across the Nangpa La (pass) to trade in Tibet. 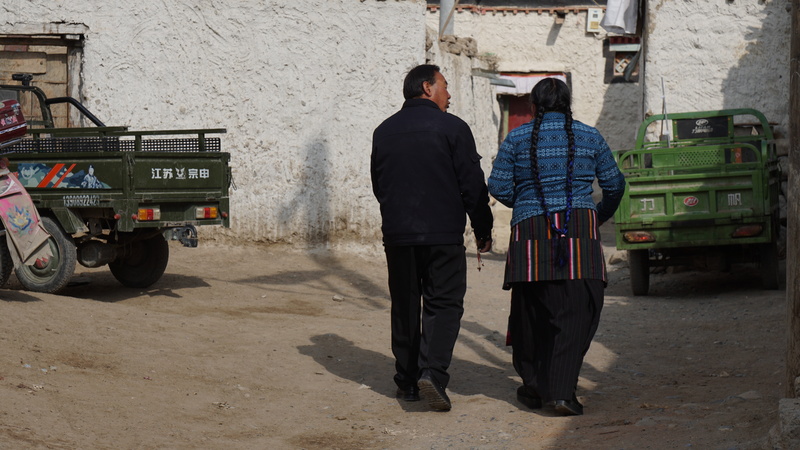 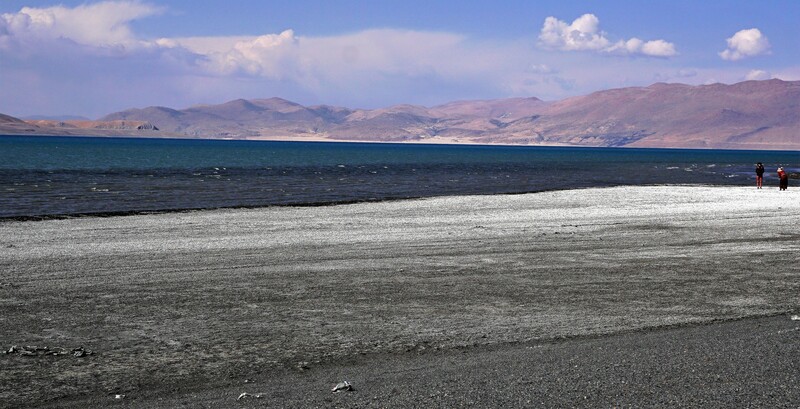 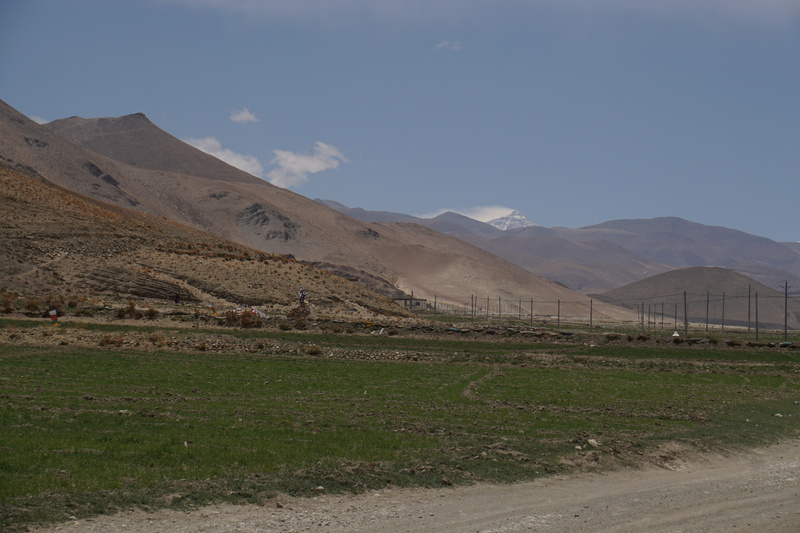 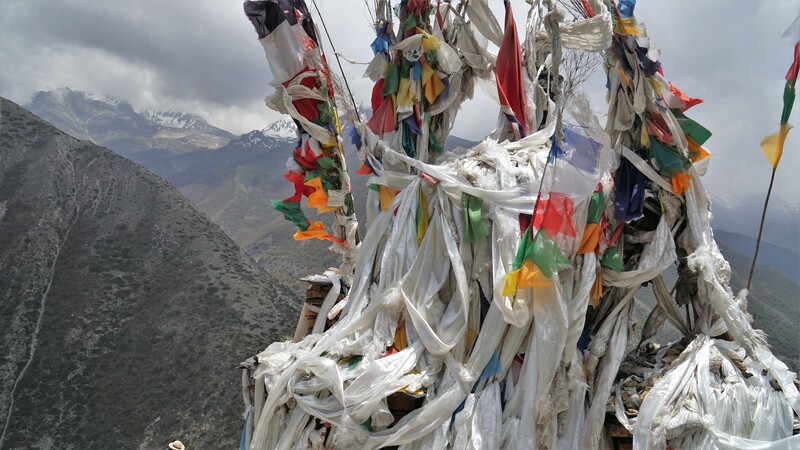 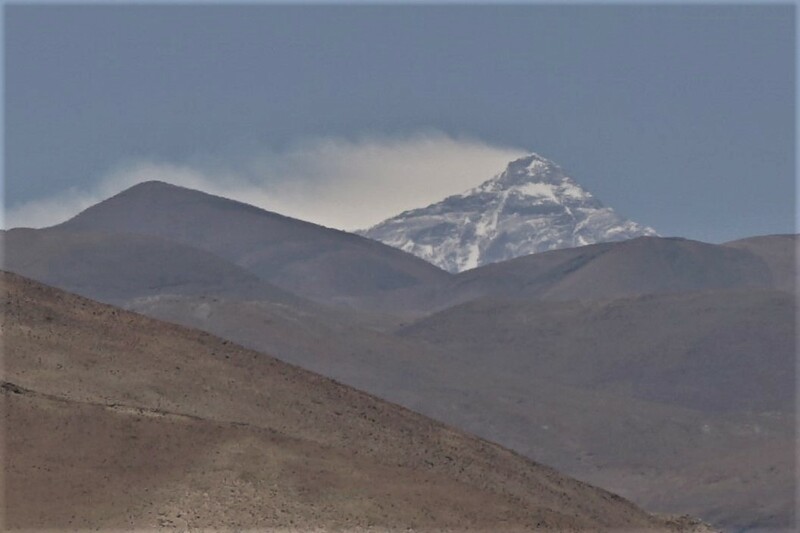 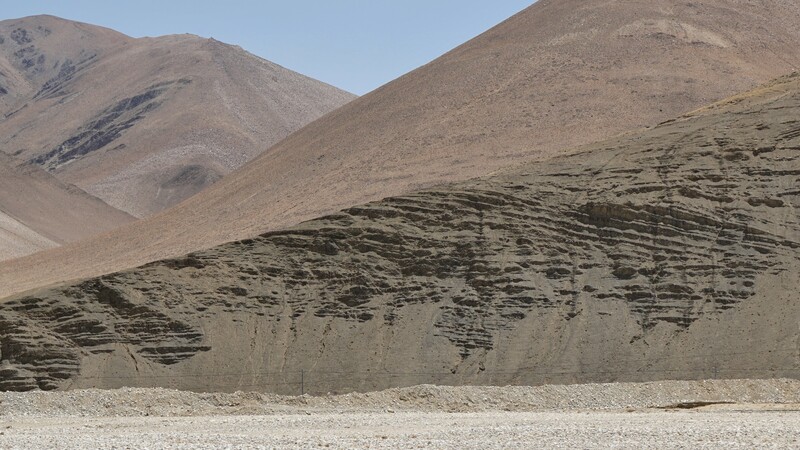 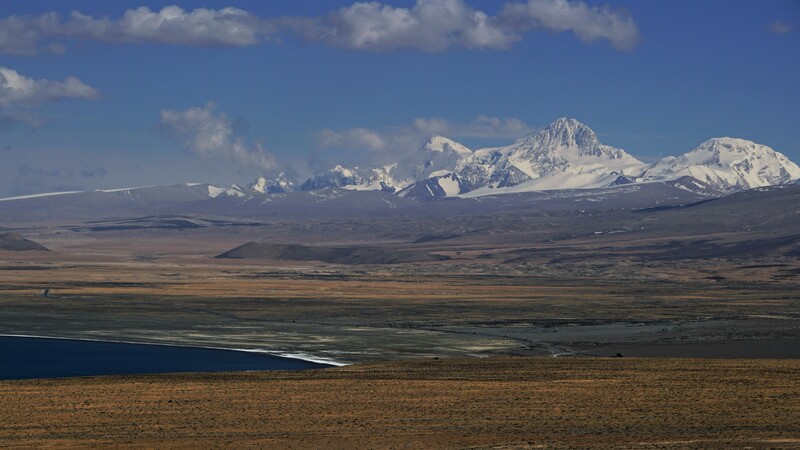 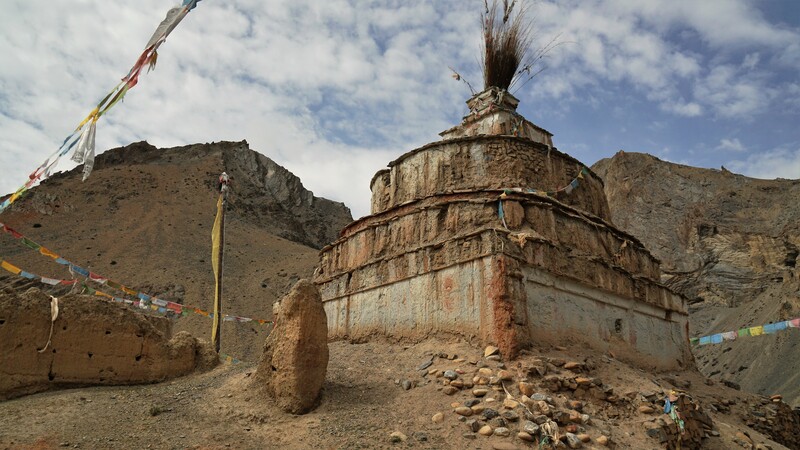 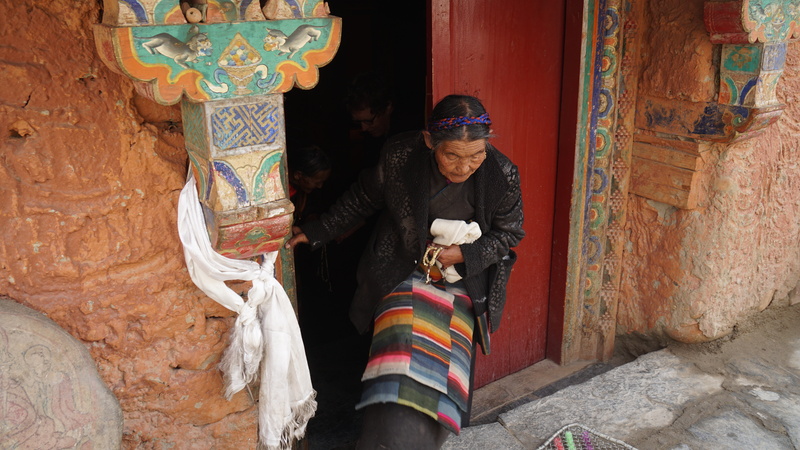 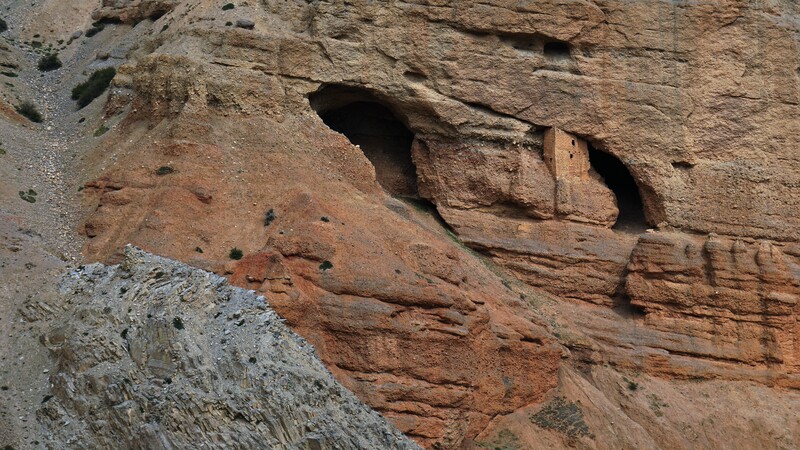 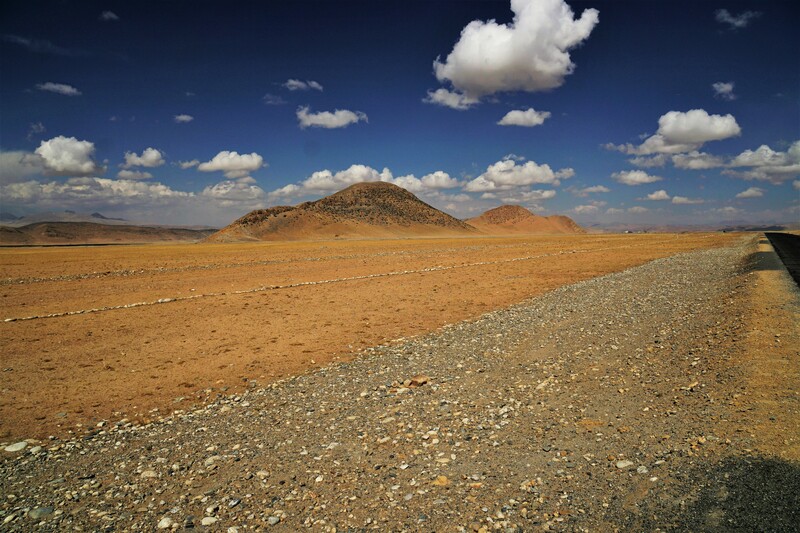 Tingri was their first destination in Tibet. 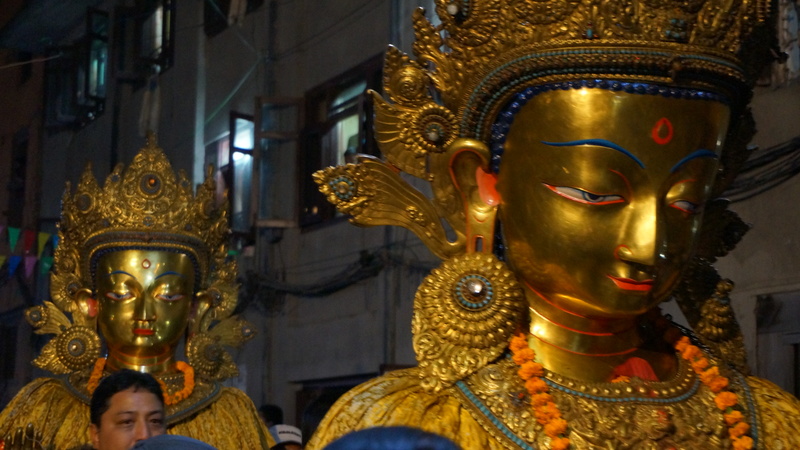 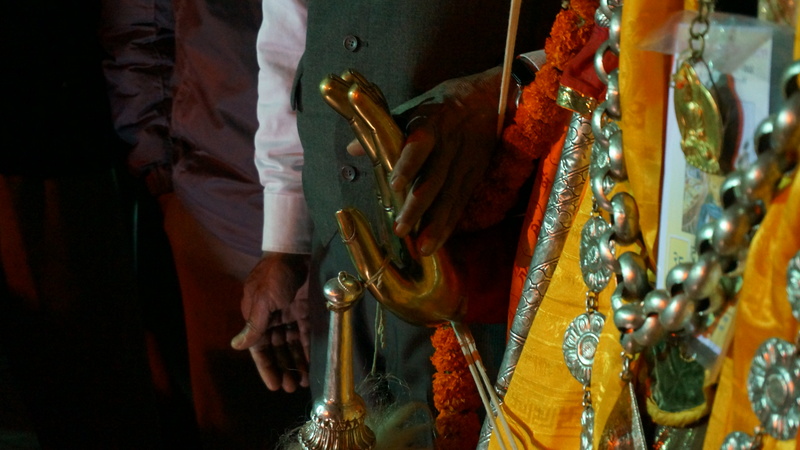 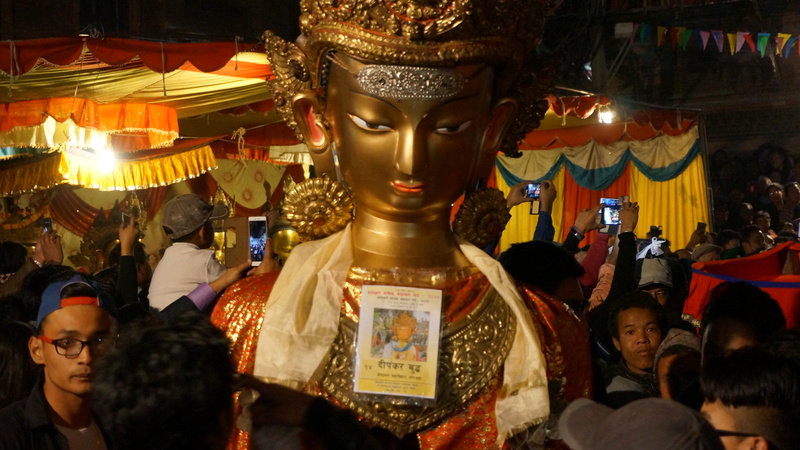 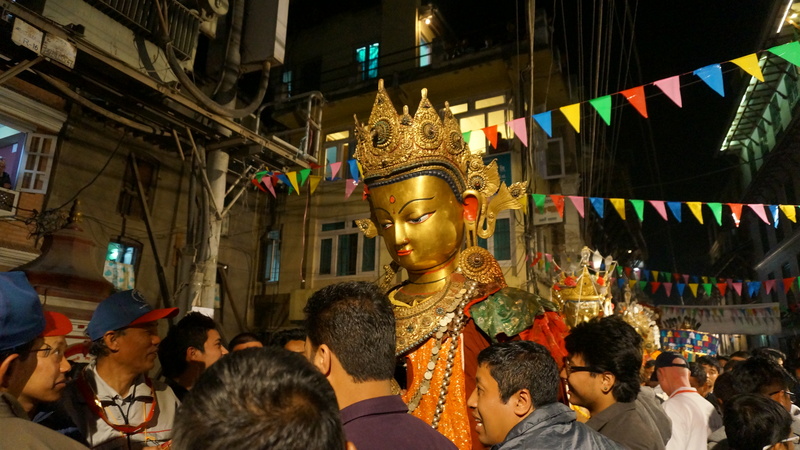 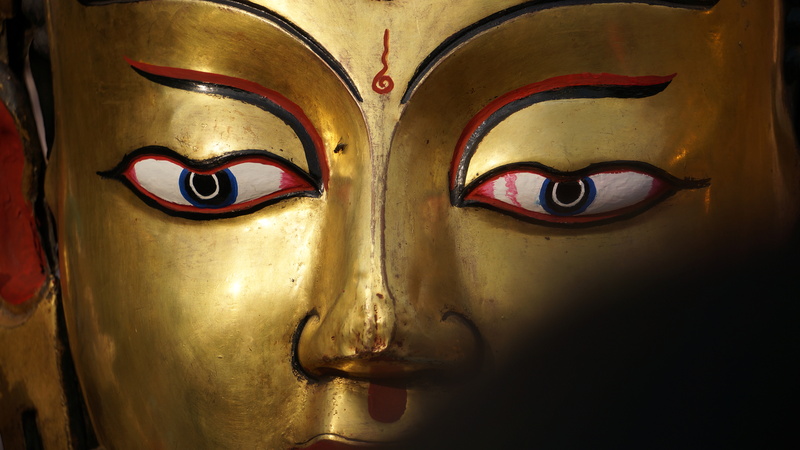 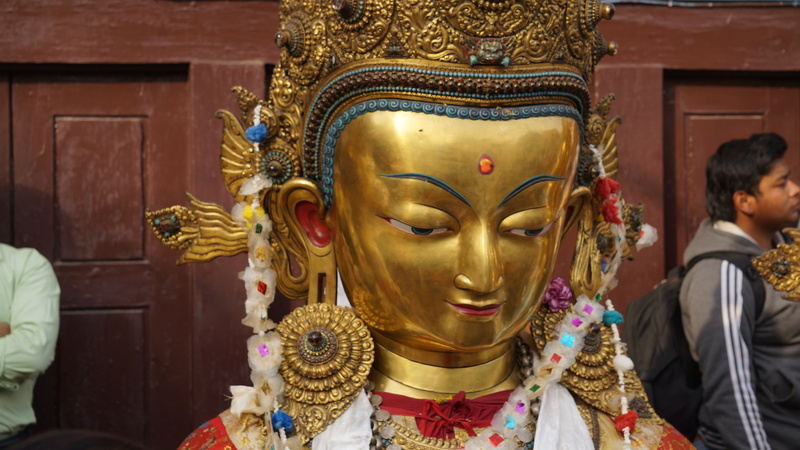 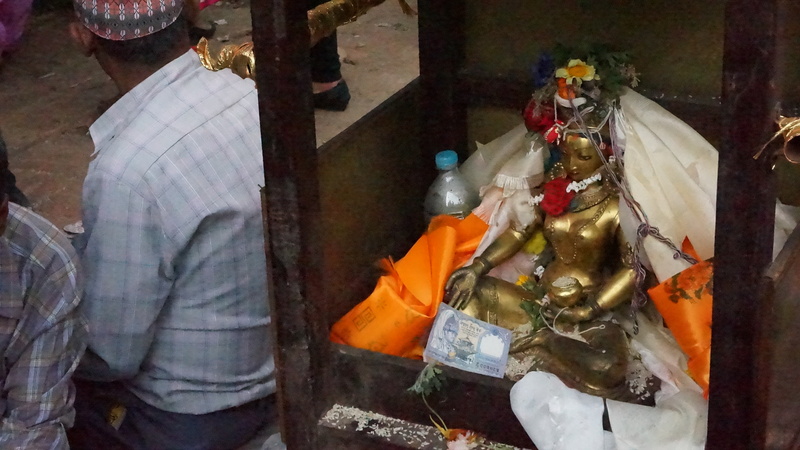 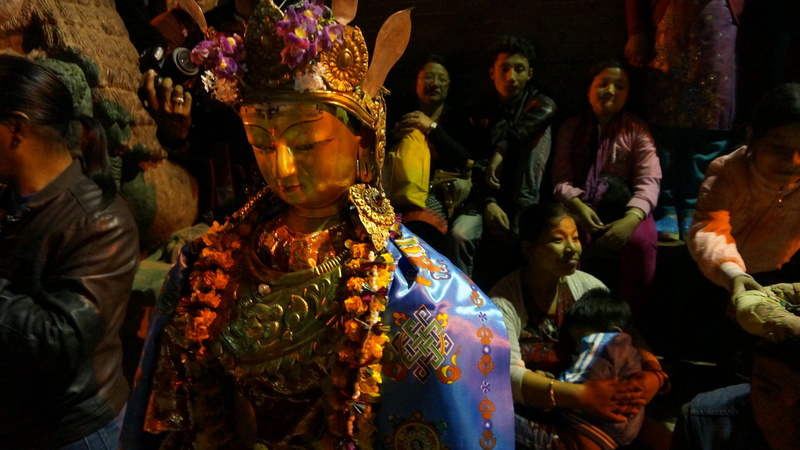 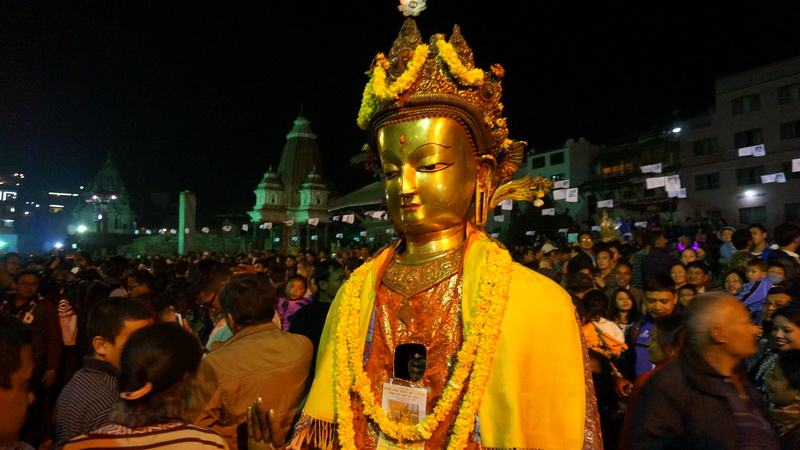 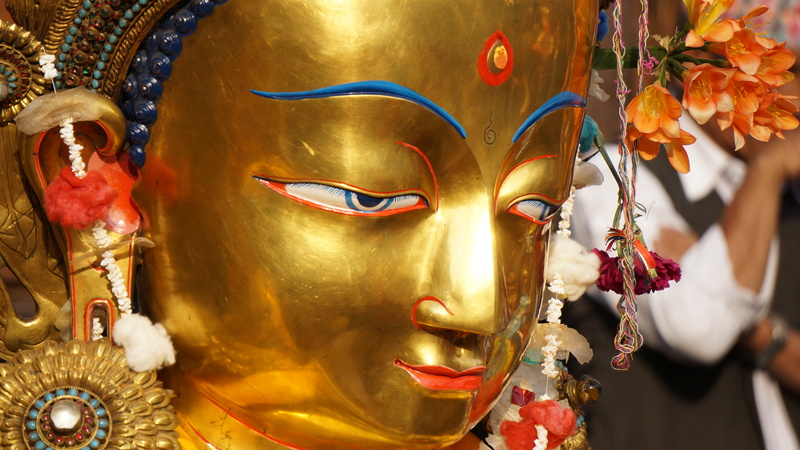 The drums beating, cymbals clashing, devotional singing, and a tall golden-faced figure arrives – a Dipankar Buddha. 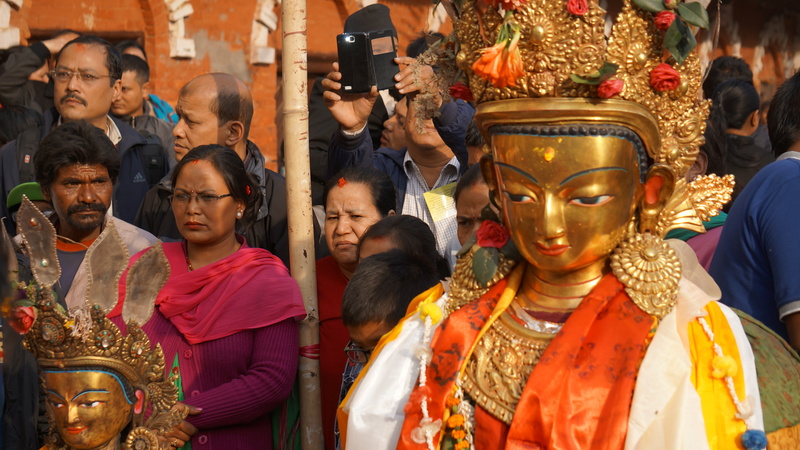 These ‘walking statues’ belong to groups of families, who keep the statues in their neighborhood shrines. 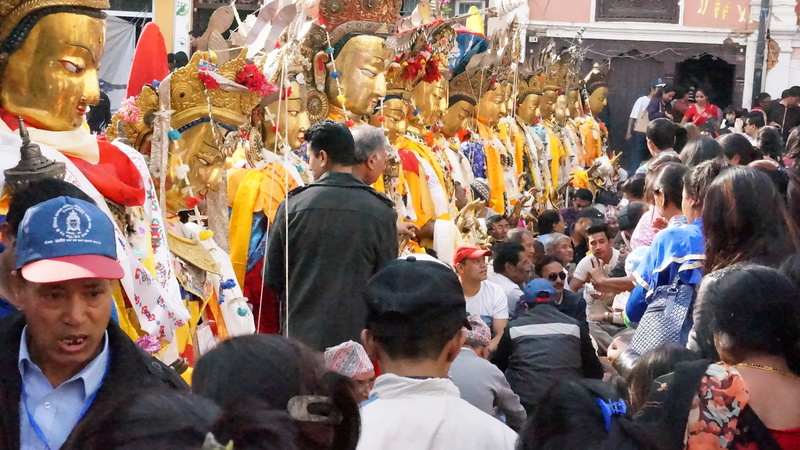 Every five years, all the owners of the statues bring them together in a massive festival. 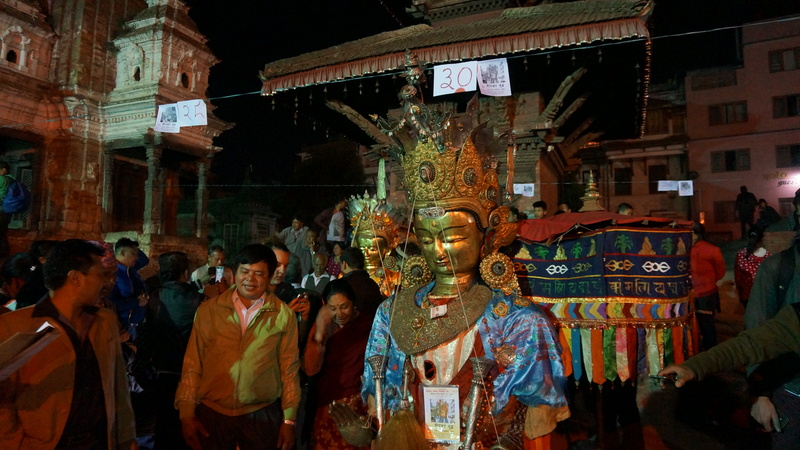 There are usually about 100 large and small statues brought about on display. 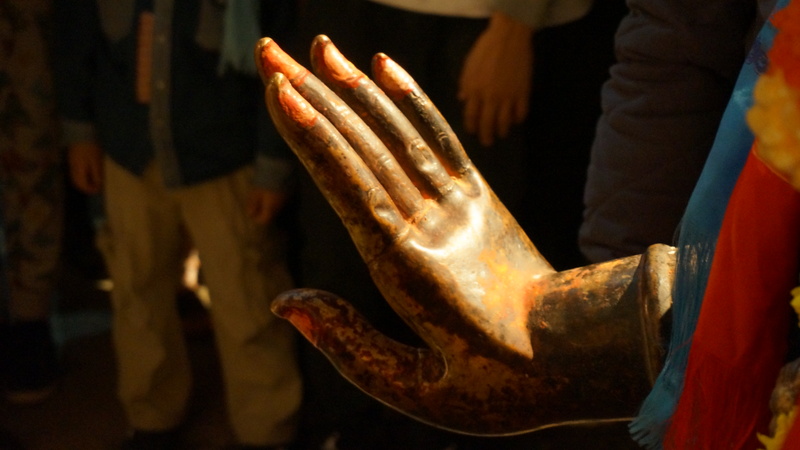 The ‘walking statues’ are actually worn by a man inside, who has just a small hole in the statue’s garments to see. 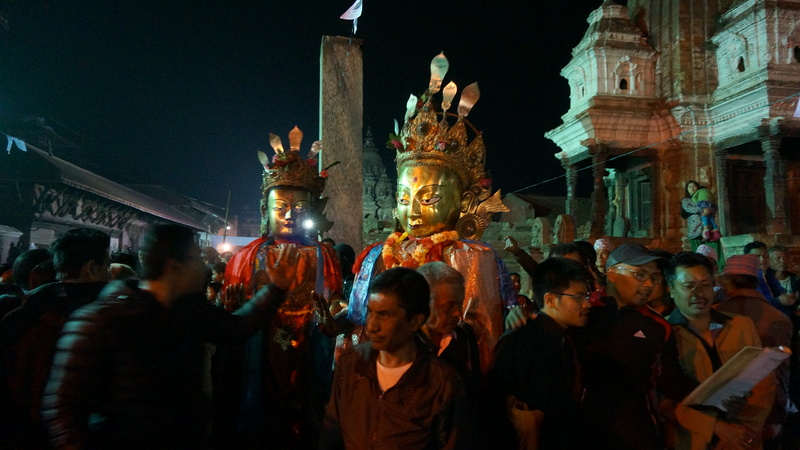 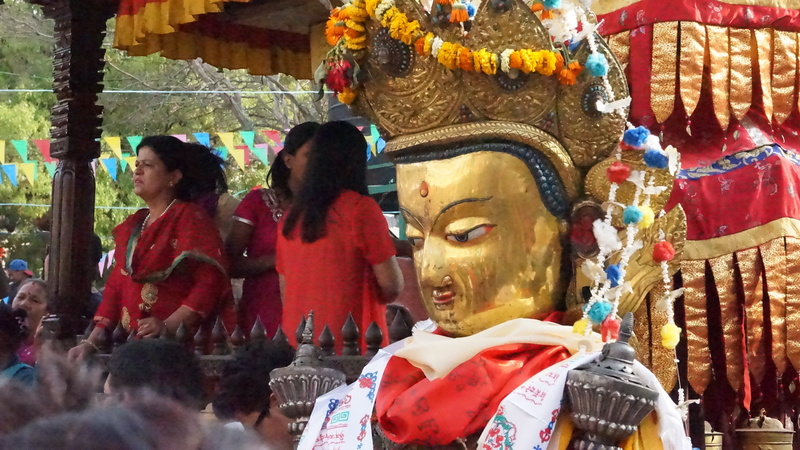 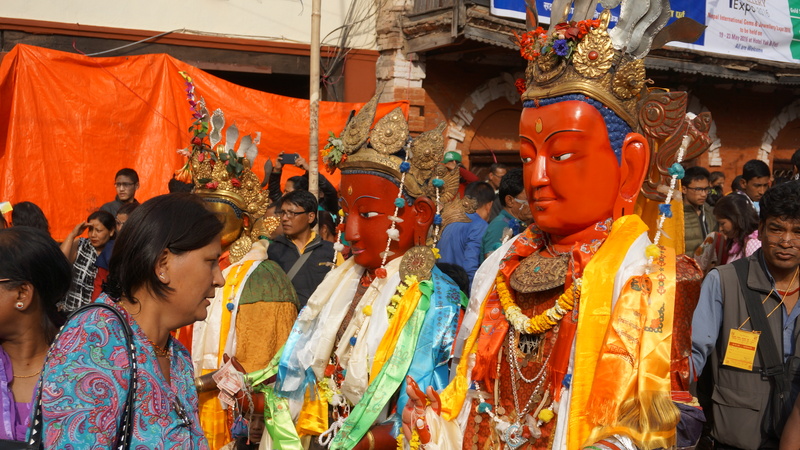 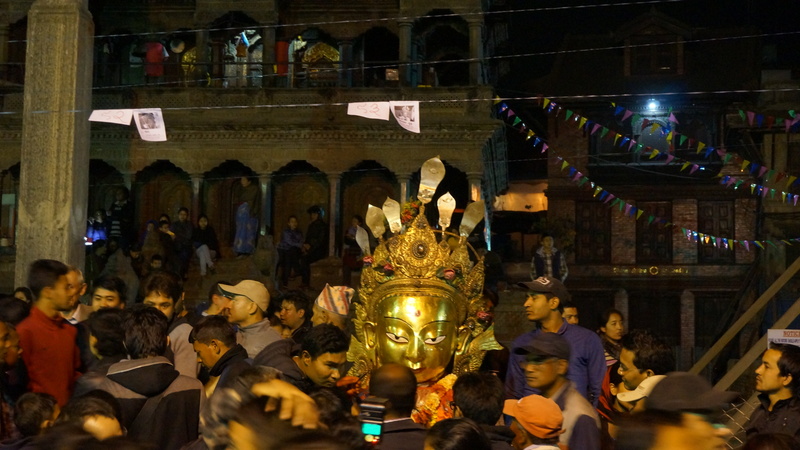 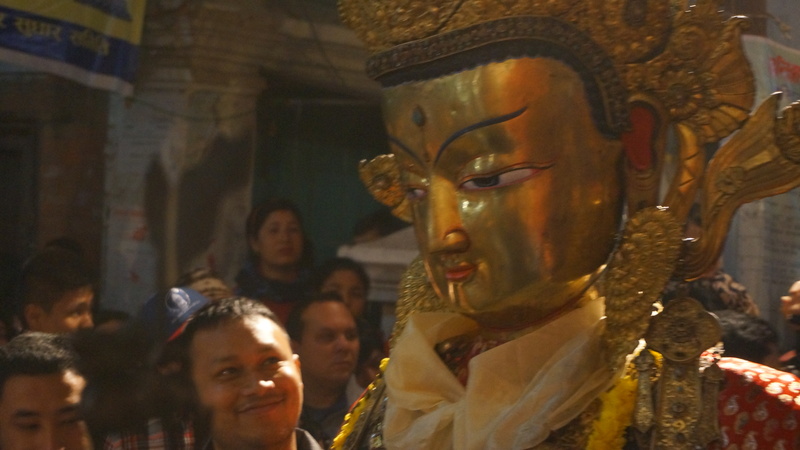 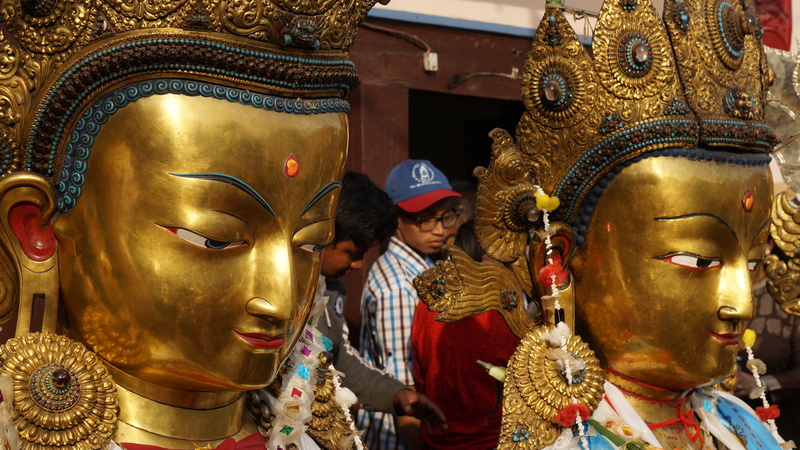 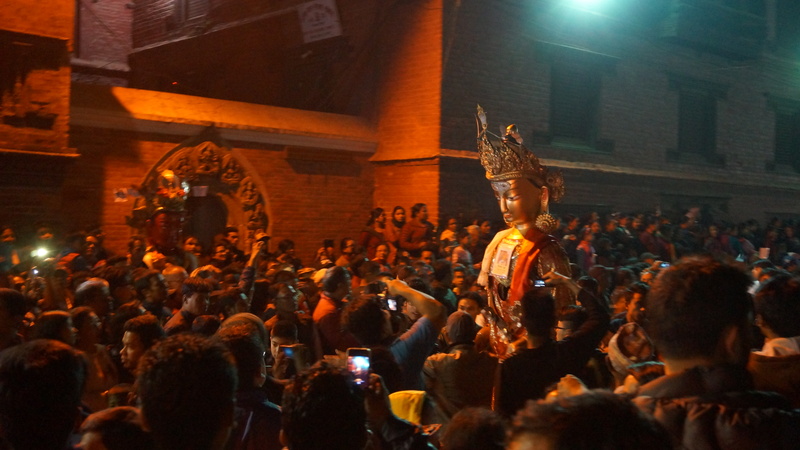 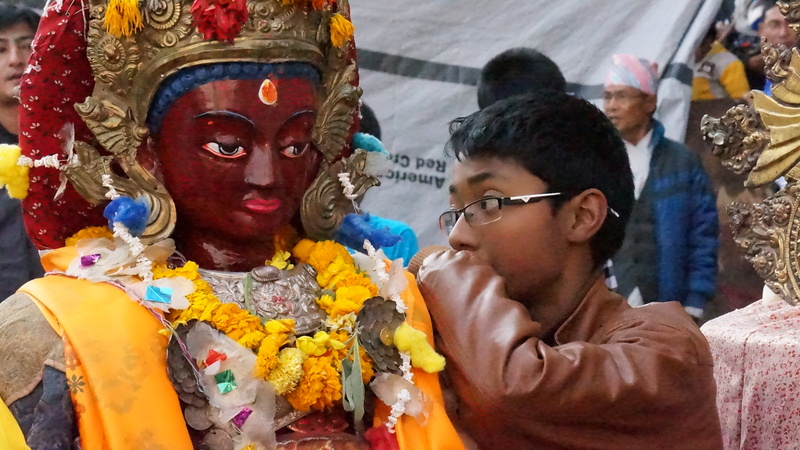 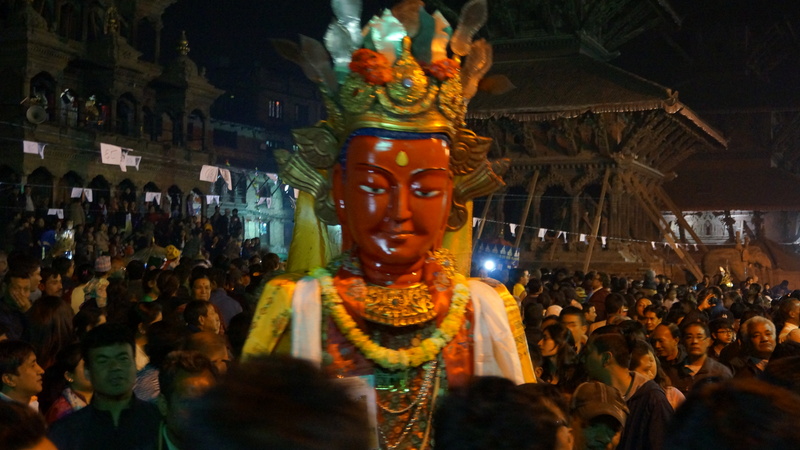 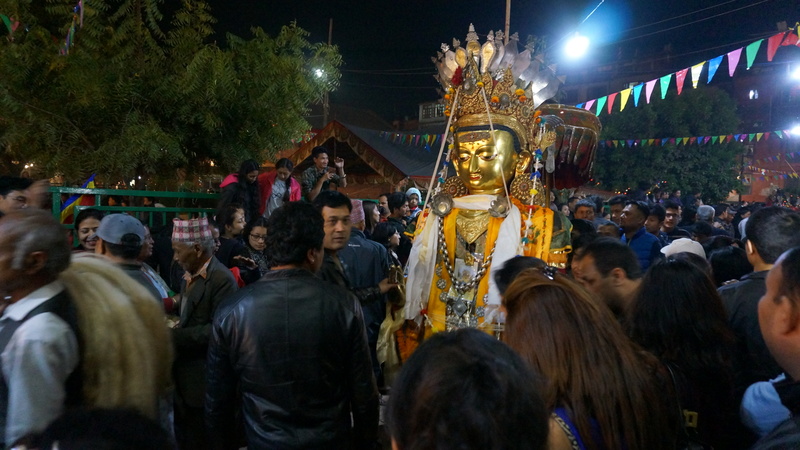 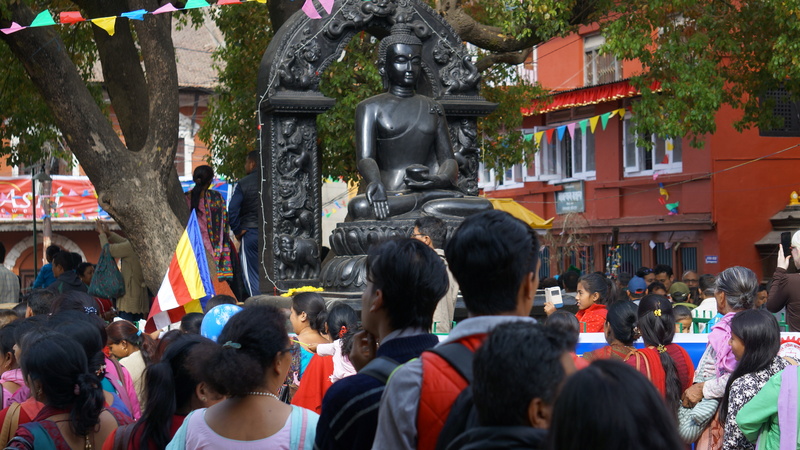 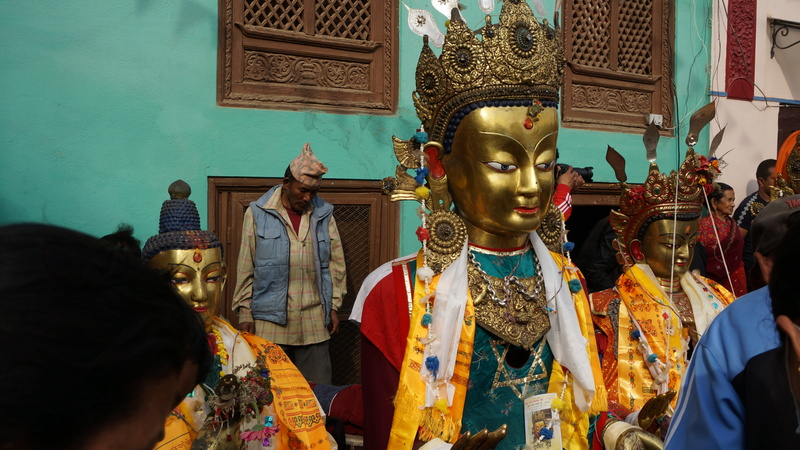 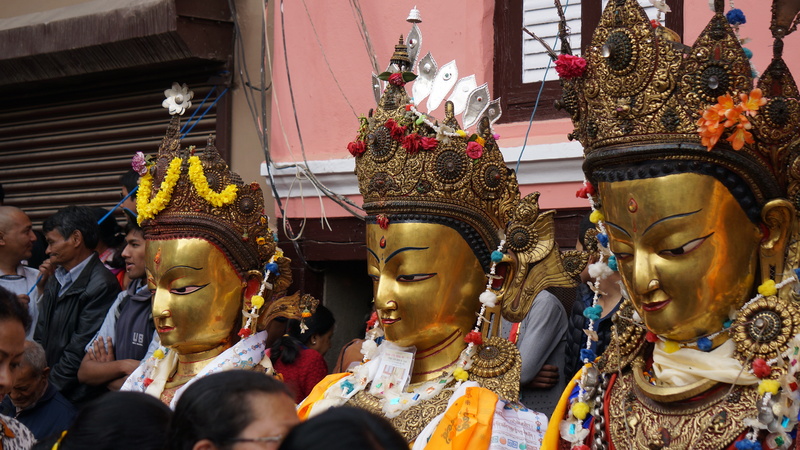 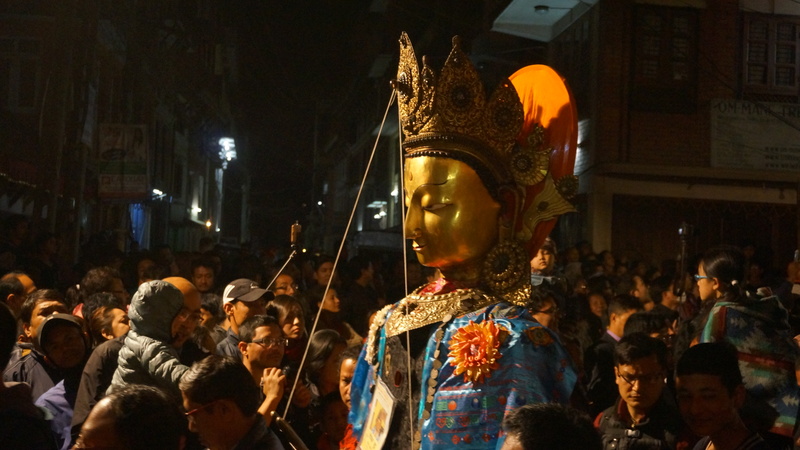 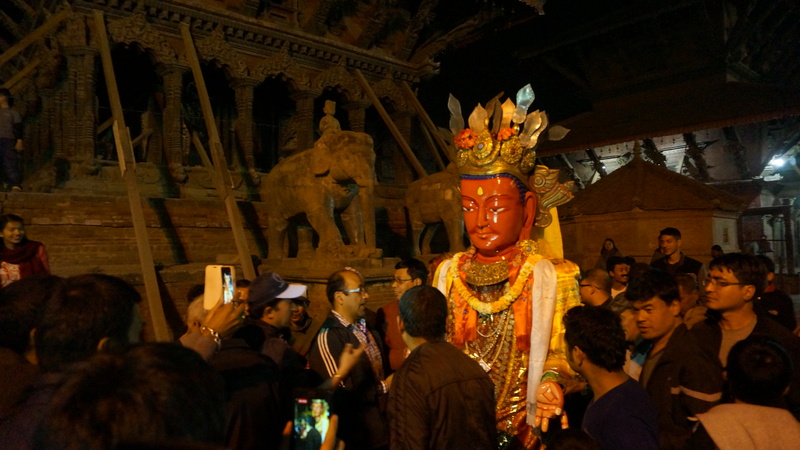 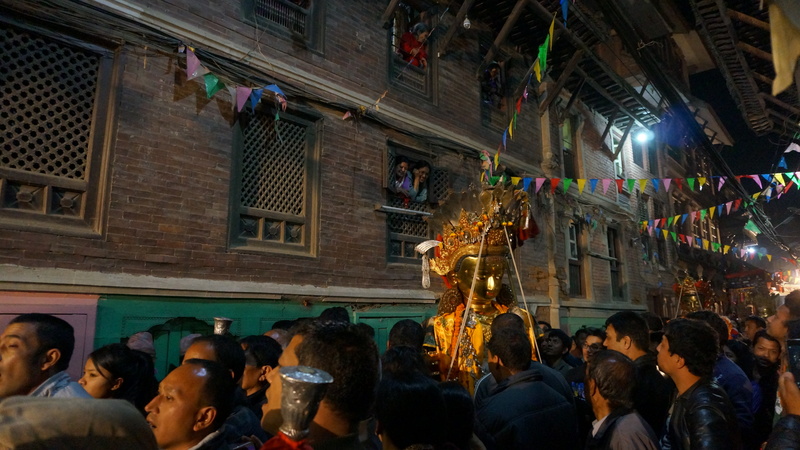 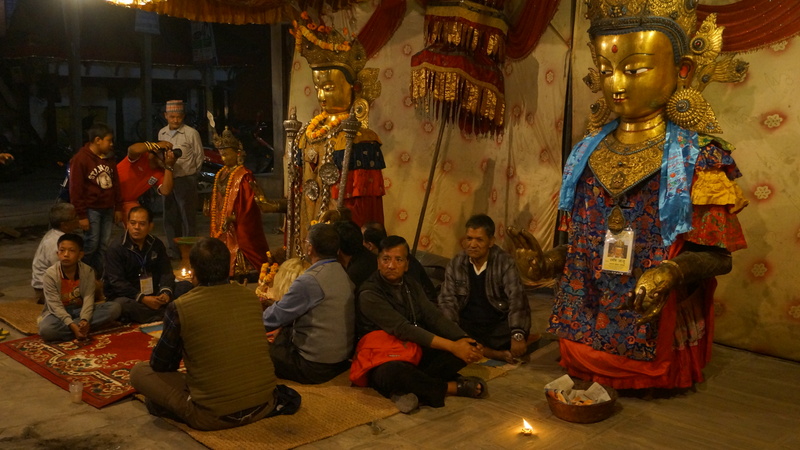 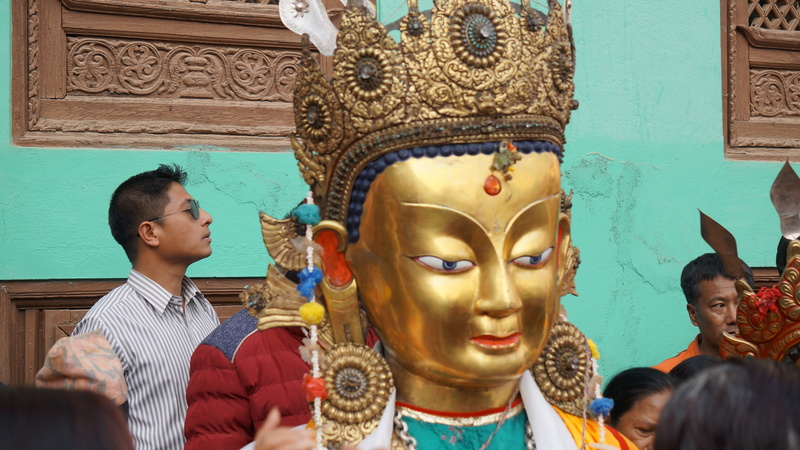 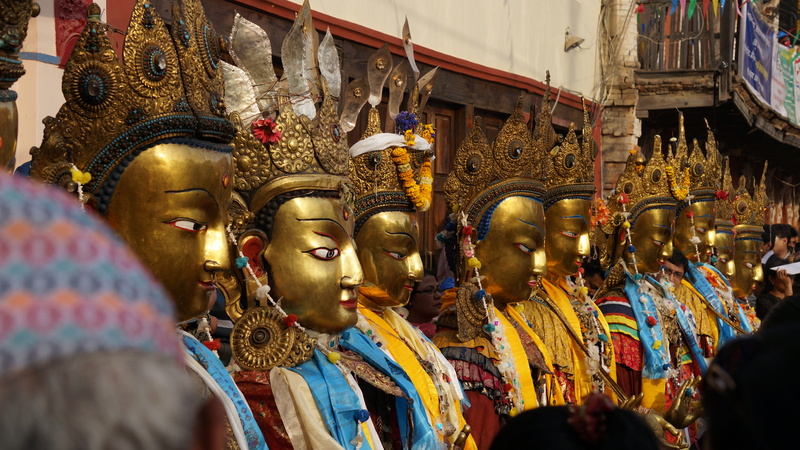 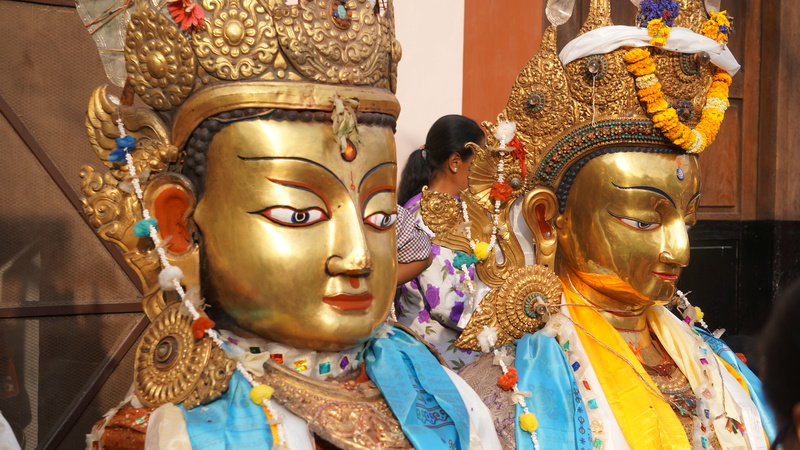 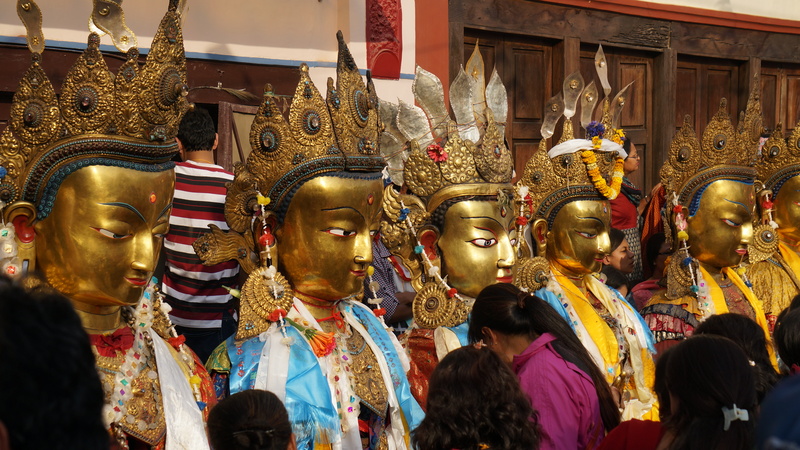 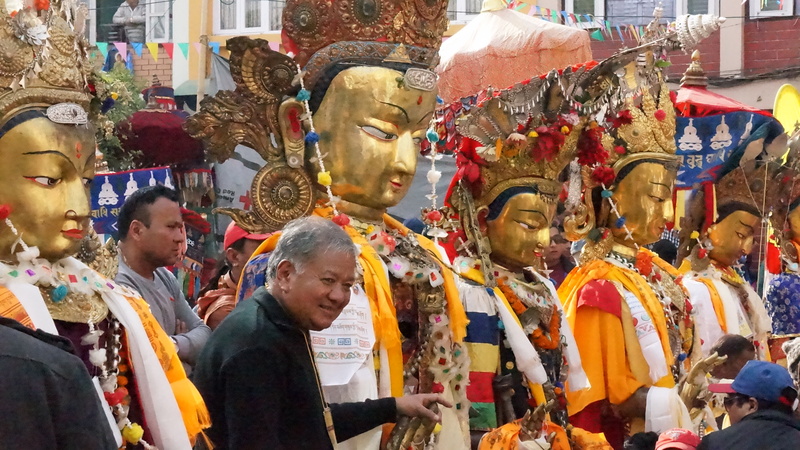 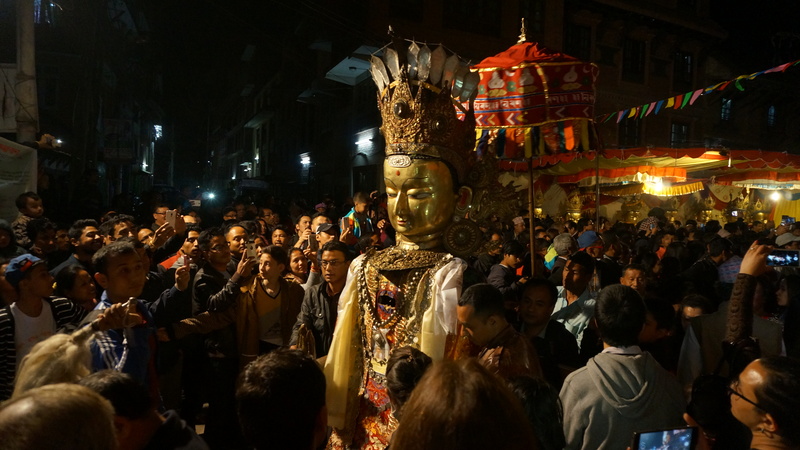 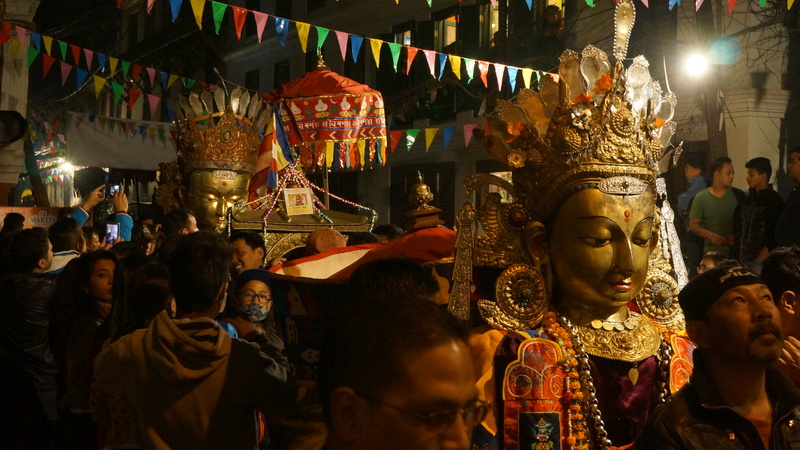 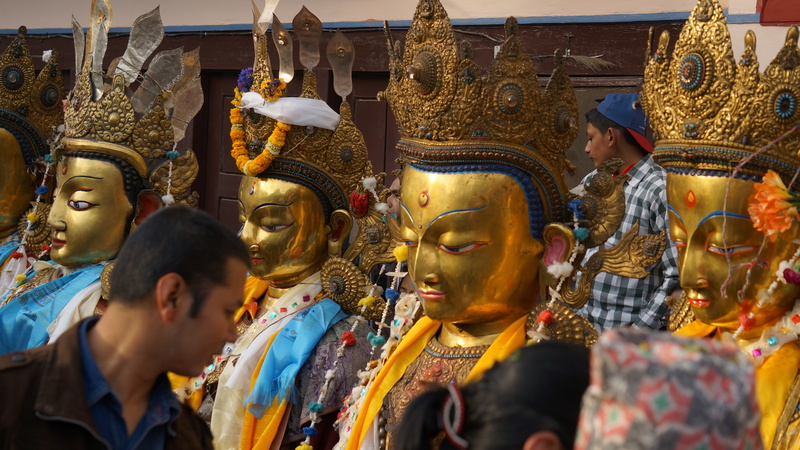 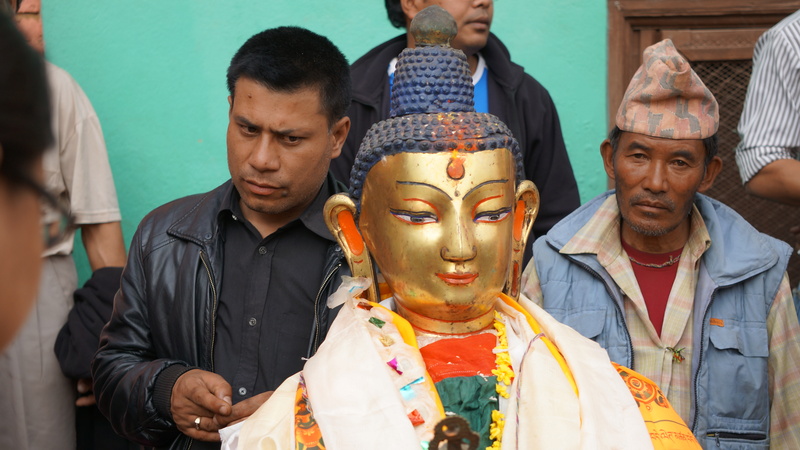 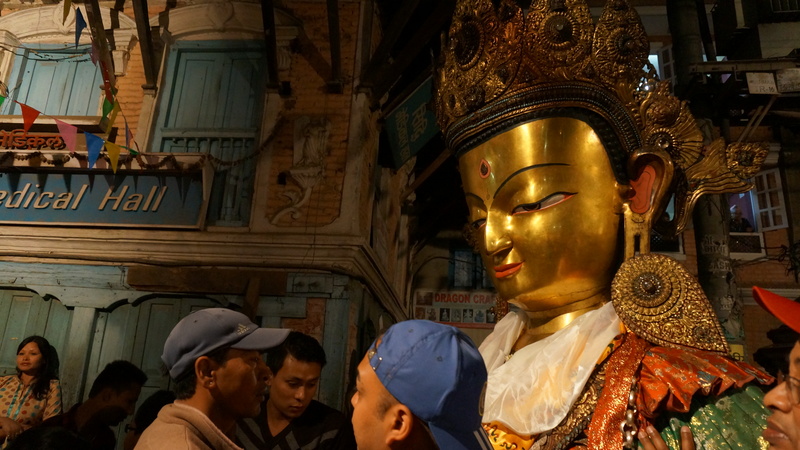 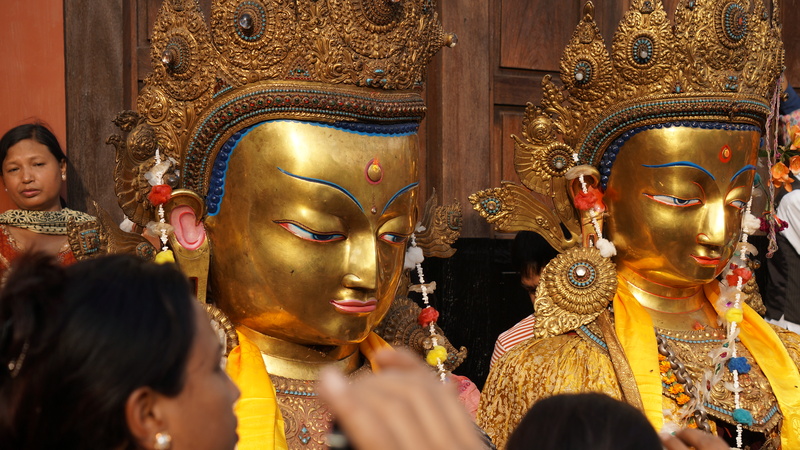 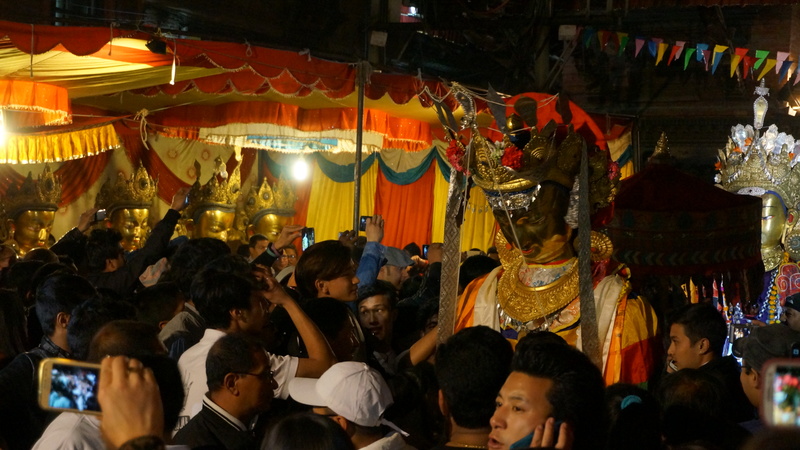 There are several people helping to guide and celebrate the procession of the statues, first into the Patan Durbar Square and then to the Nag Bahal courtyard. 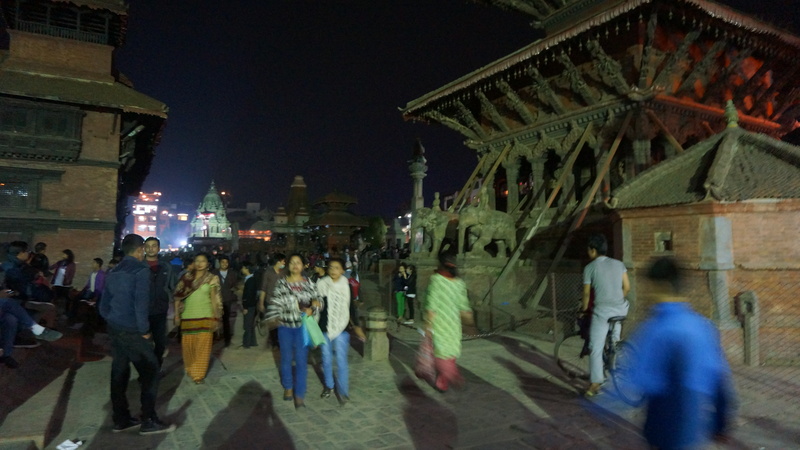 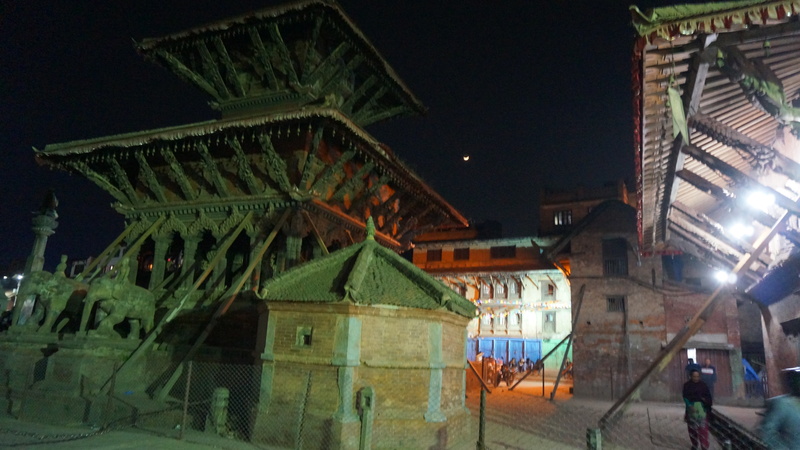 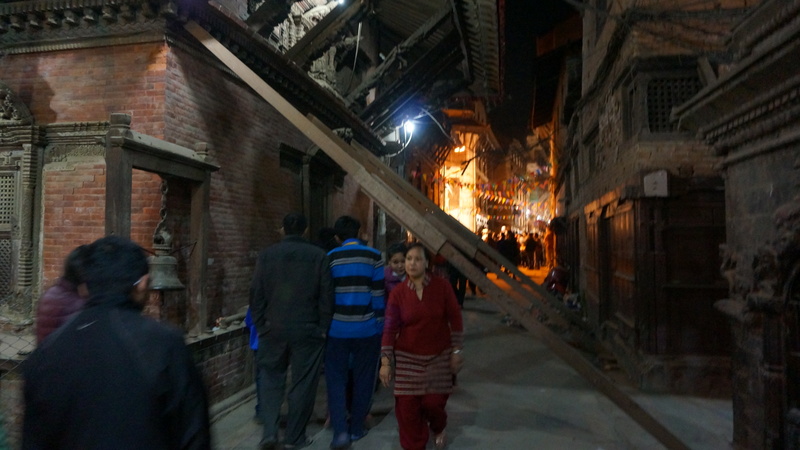 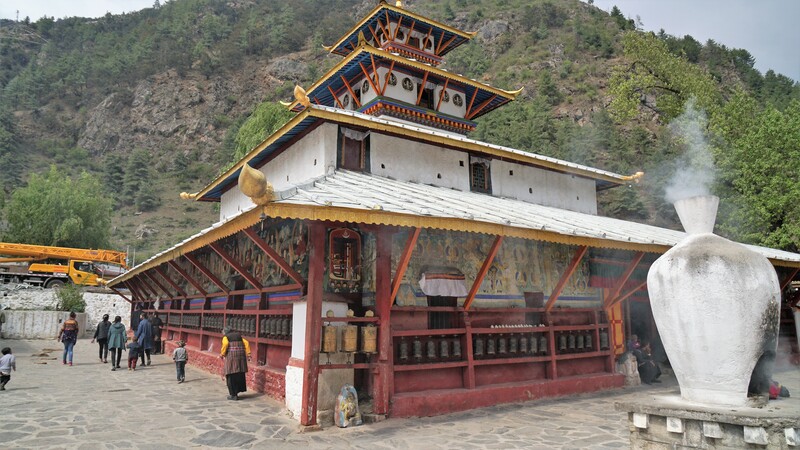 The Durbar Square was affected by the April 2015 earthquakes but while some of the temples have timbers supporting them, only one temple was destroyed. 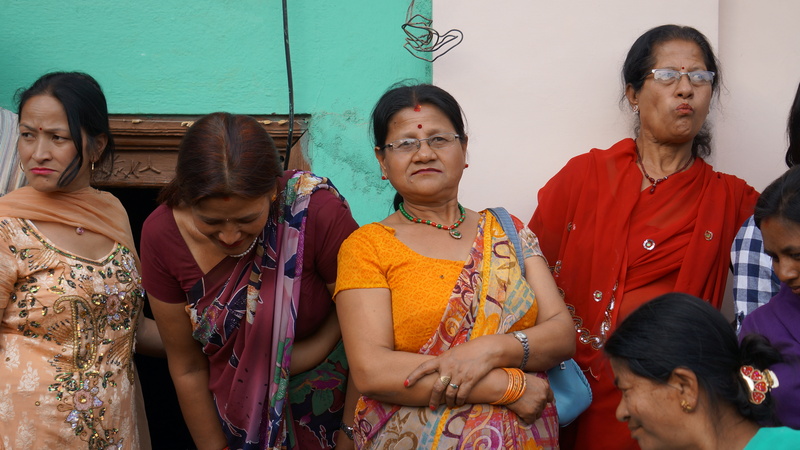 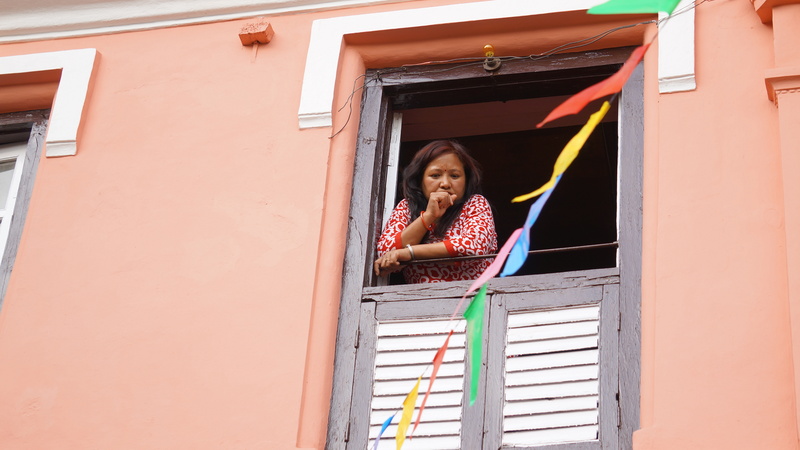 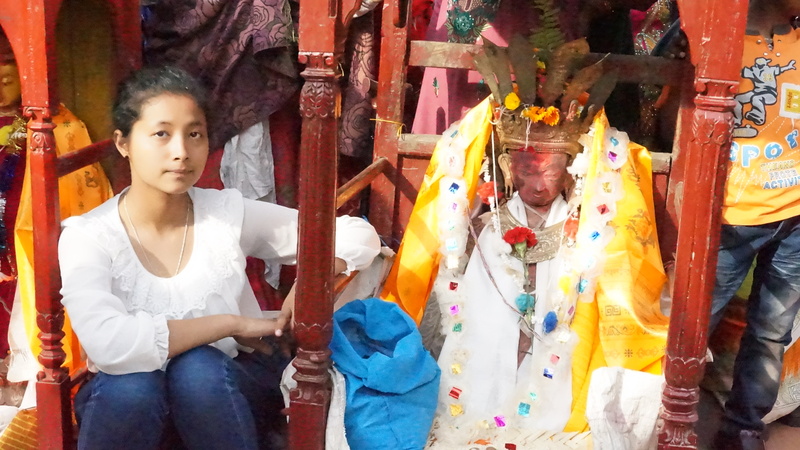 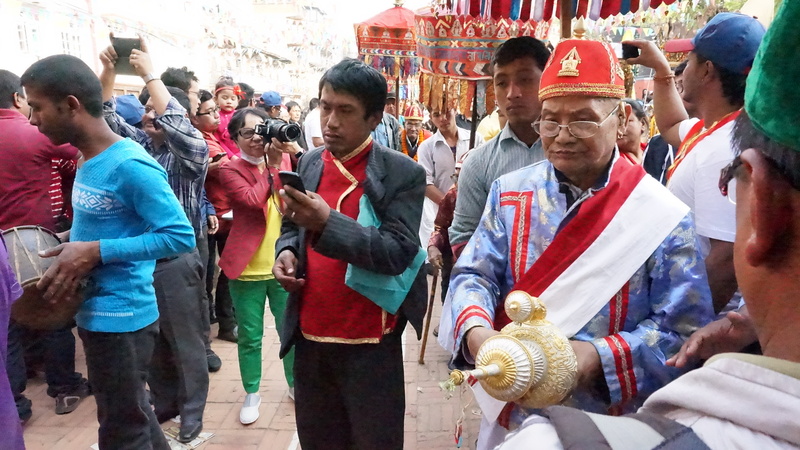 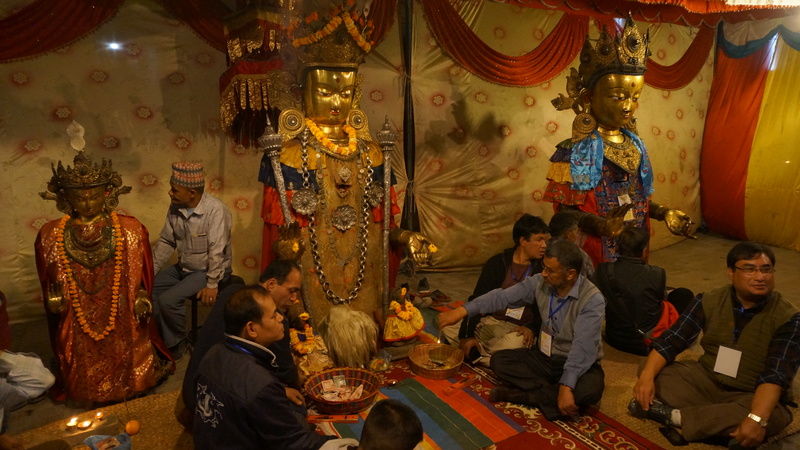 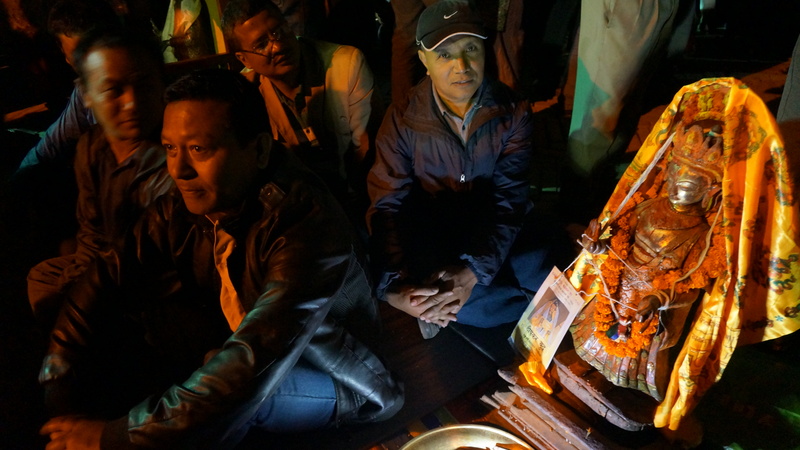 Certainly the spirit of the Patan people is intact as they celebrated the occasion. 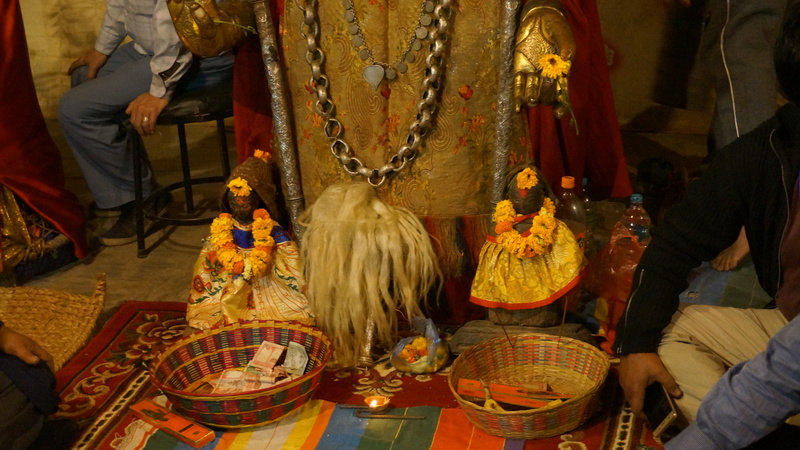 One family with a small wooden statue, only about two feet high, said that it is perhaps 1,200 years old.